Barnsley striker Kieffer Moore is available for Saturday’s FA Cup trip to Premier League strugglers Burnley. The 26-year-old, who has netted 13 goals this season, has missed the last three games though injury. The Reds have not struggled in Moore’s absence, taking seven points from showdowns with League One promotion rivals Peterborough, Charlton and Luton. But Moore will provide head coach Daniel Stendel with a welcome boost as the Tykes head to Turf Moor looking to cause a major upset. “He is fine, he is back in training today. He can play,” assistant head coach Andreas Winkler said. 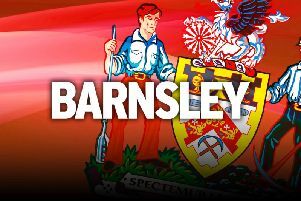 Barnsley have emerged from a packed festive period in excellent shape courtesy of a five-match unbeaten run. Stendel’s side also drew with leaders Portsmouth and beat Blackpool, leaving them six points off the automatic-promotion places with a game in hand. The FA Cup provides the Reds with a chance to take a break from their promotion drive and test themselves against the big boys. And Winkler is confident his side will be able to handle the occasion in Lancashire. “The pressure is on Burnley, especially as they play at home,” said Winkler, who watched the Clarets’ win at Huddersfield on Wednesday night with Stendel. “We have a young squad but I think we will be competitive for them. We will have a lot of confidence, not to be arrogant, and I’m sure we won't be nervous. “It is not Liverpool, or Man U, but we have a lot of respect for Burnley. They are very organised with players of quality. But it is only 90 minutes. “If you are in the third round, you want to go to the next round. We are looking forward to playing against a Premier League team. They have a strong side, but you never know. Meanwhile, midfielder Callum Styles has returned to Oakwell following a half-season loan spell with League Two Bury. The 18-year-old made the move to the Tykes from the Shakers in August before rejoining his former side on loan until January, making 21 appearances this term.